Hello alhamdulillah, it's Wednesday and I canceled my plan to meet my lecture. yes, it's my fault. but I'm happy because I'm still doing something I really really love.which is drawing! 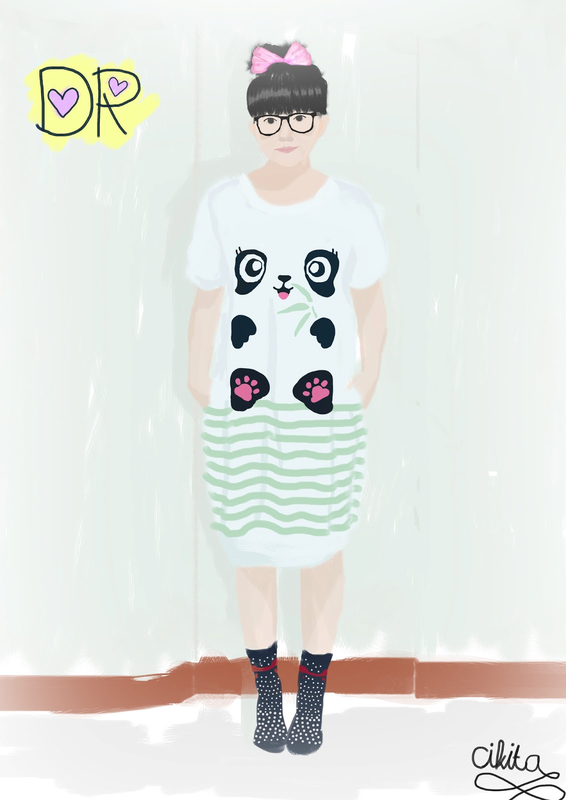 and for today's artwork, I proudly present to the most inspirational fashion blogger Diana Rikasari! housewife should be like her; productive and passionate. and I picked her photo from her own blog, Hot Chocolate And Mint: Home Ware To Wear I think she still remains cute for woman in her age. this is my second artwork which was made by Photoshop hehe. it's addicting! the real time killer and mood booster. see you in the next artwork, and it could be you!